As the 14th general election draws near, the sense that Malaysia – and the whole Asia-Pacific region, for that matter – must now leap into a new era is growing stronger by the day. What seems common to advanced countries and developing countries alike is the need for governments to realise that profound disruptions caused by the digital revolution are already happening. Their old ways of doing things and the old structures created for doing those things are now the greatest hindrance to the country’s ability to take full advantage of the opportunities offered by the Fourth Industrial Revolution. And so, where Malaysia is concerned, much courage is needed to discard the old ways of thinking that have become inhibitive, and to dismantle the structures created by those old ways of thinking which now stand in the way of new strategies that suit latecomers like Malaysia. Yes, Malaysia is a latecomer – not so much in that it started late, but in it has been a great waster of time and opportunity. And how has it been wasting time and opportunity? Answering that question is what requires courage, because it is necessarily a radical act and it is necessarily a dangerous stance because it threatens the survival of the old structures. The South-East Asian nations founded after the Second World War began building their state apparatus, their national identity and their national economy in response to domestic tensions and external pressures. Whatever their individual solutions were, these are now from another age. Had they been successful, they would have achieved a stable and free society and made themselves largely redundant. As with good parenting, which fosters children so that they can manage the future on their own, a nation-builder succeeds by nurturing the nation and the citizenry towards maturity. Once that is achieved, governments should merely play a supportive role to help citizens excel, just as parents of young adults should dismantle the barriers that they placed in the way of the children when they were children. This seldom happens though. We notice it in how schoolchildren in the US recently had to take matters into their own hands against the passion of their elders for guns. Now, let’s go back to Malaysia and the coming general election. The Malaysian citizen is now grown, ready and eager to test his wings; but it is the parents – in the form of old conflicts, old authoritarianism and old notions of race and nation-building – who refuse to let him leave home to take on an exciting world that they understand better than the aged parents. The future is their challenge to face, not the parents’. But bad parents tend to want their children to live at home forever. This is why the notion of Malaysia being in a transition is so strong among young Malaysians today. The need to take matters into their own hands is getting undeniably strong. Some of them are escaping out the window or the backdoor, some are arguing among themselves in the living room, some are sulking and won’t come out of the toilet, some won’t eat the bland food they are fed every day, and some are in the bedroom planning revolt. The parents, in turn, have the front door sealed, the Wi-Fi turned off and the TV locked on one single channel; and they have employed religious bouncers at the gate to keep everyone locked in. The home is now a prison for the young spirit. 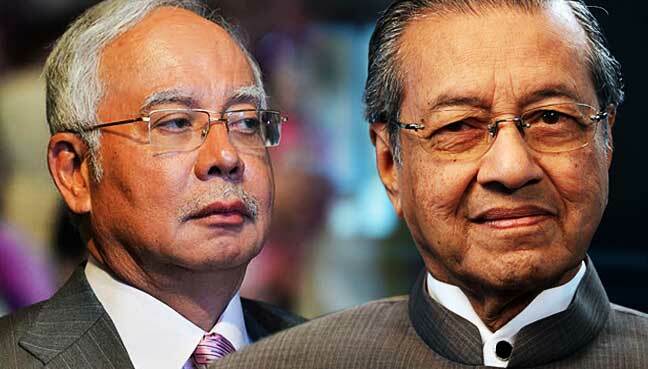 In this scenario, one could poignantly and pointedly say that the system’s grandfather, Tun Dr Mahathir Mohamad, seems to have realised the error of his own ways, and has now come out of retirement to help end the confinement of Malaysia’s future generations.